It has now because my habit to begin each new week in the LongAndWastedYear by looking at the new advertising that has been created through the licensing of Bob Dylan music. Let’s not have an exception, this is a good one. 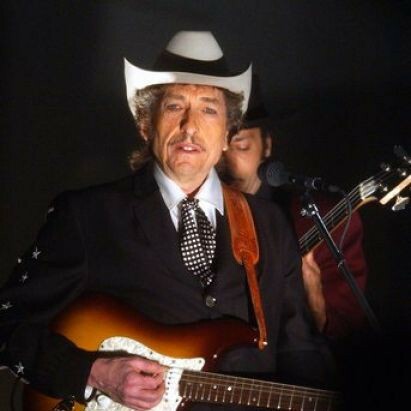 In 2012 Bob Dylan let Brother printers advertise a new line of quieter printers through an electronic symphonic performance of his classic work, “The Times They Are a-Changin'”. Over on Vimeo there is a little write-up about this clip from Chris Cairns, one of the people who put this together for Brother. He notes that the MIDI system will allow this to play other songs as well, or even to perform music live. I’m not sure if that ever came to pass, but what they’ve done here is actually extremely clever. Indeed, so clever is it that I’ve now wasted a whole bunch of time watching the other videos on the website of IsThisGood? I liked “Ghost Writer” the best, but everything over there is worth checking out – glad to have come across these guys who blend technology and art in interesting ways. So, good ad here. I think you could possibly object to it on ideological grounds if you don’t think a generational song like “Times” should be used to sell quiet printers (I have no idea if they are actually quiet, by the way). If you believe, however, that a song like “Times” should be the source of inspiration for cool art – even if that art is used to sell quiet printers – then the above ad is for you.